Av. Zumalacarregui, 40, 48006 Bilbao, Spanje. 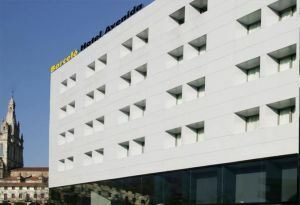 Hotel Barcelo Avenida is situated next to the Basílica de Begoña and the historical centre of Bilbao. The hotel presents a brand new image after being totally renovated. It offers 189 exterior rooms in high end design equipped with hairdryer, Play Station, satellite TV, Pay per View, minibar and safe. 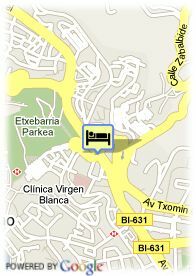 The room of the hotel have king size bed, hydromassage shower, ADSL Internet access. It also offers restaurant, business centre, fitness and spa. Centrum, dichtbij musea, dichbij Vliegveld.